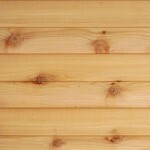 A traditional choice for exteriors big and small, cedar siding is a consistently popular building material. Seen on homes across North America, cedar siding offers unique grain patterns, rich colors, and a wide range of practical benefits. With different profiles available to compliment a choice of architectural styles, this material offers an appealing golden-to-amber color range and is often sought after for a warm, laid back visual effect. Natural resistance – Cedar has naturally occurring chemicals within it that protect the wood from decay, moisture, UV rays, and insect damage. Insulating qualities – Due to its open cell structure, heat transfers evenly through cedar, which means it keeps interiors cooler in the summer and warmer in the winter. It also insulates against noise – cedar has a 1.09 R-Factor per inch rating for insulation. Versatile – Cedar siding is easily stained or painted to greatly expand your choices in color. This process also serves to protect and preserve cedar siding while enhancing its natural beauty. Workability – Along with being light-weight and easy to saw and nail, cedar is extremely stable thanks to the long strands which make it up. Each piece of siding is sawed at an angle to produce a wedge that tapers from top to bottom. This type of siding is installed horizontally and overlaps to allow a signature shadow line effect. A sub-category of lap siding, channel siding can be installed horizontally, vertically, or diagonally. With this format, each board partially overlaps with the next, thus creating a “channel” effect. This type has an adaptive nature with respect to shrinkage and expansion due to temperature and moisture conditions. Popular both as an outdoor siding option as well as an indoor paneling choice, tongue and groove cedar siding is designed for easy installation and more of a flush look. This type can also be installed horizontally, vertically, or diagonally. 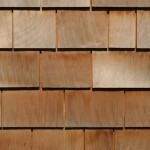 Offering a decorative and refined look, shingles come in different widths, textures, shapes, and sizes. 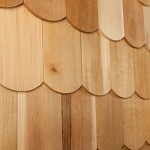 They can be installed using a single coursing method, where the cedar shingles are laid out on top of one another, like shingles on a roof. Or, a double coursing method can be used, where the shadow line is much more pronounced because undercoursing shingles are placed with the cedar shingles. Pre-assembled panels are also available. Cedar shakes give homes a more rustic look because of their rough and somewhat irregular appearance, when compared to the clean outlines of shingles. They are particularly popular on seaside homes. You can also install using either a single or double course method. 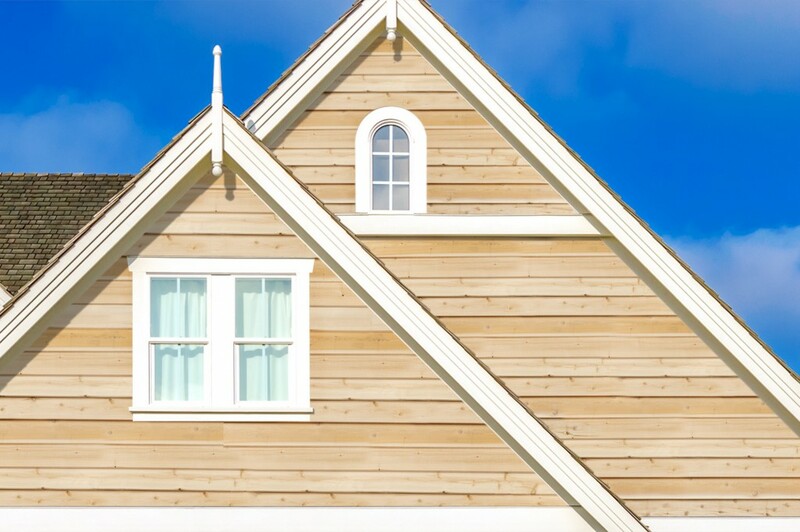 When shopping for cedar siding and considering what style of siding you’re most interested in, it’s important to determine the exposure of the siding. This means, when you’re overlapping each piece of siding, how much of the siding surface will be visible. Some of this comes down to your own personal taste. Other aspects of this are determined by your local building codes. Make sure that any siding projects you’re planning are in compliance with these codes. Along with picking the type of siding you prefer, you’ll need to pick the length and width – cedar siding lengths generally range from 8’-16’ a piece. When calculating how much siding you’ll need to complete your project, keep in mind coverage and exposure. When placing your order, it’s always a good idea to purchase a bit more than your calculations say you need to make sure you’re not short due to allowable damage (usually 5-10%). When it’s time to install cedar siding, hiring a professional to help if your inexperienced is recommended. Paying for a professional installation can save you money in the long run because they will ensure you have a high quality installation that lasts. A naturally beautiful building material that will add curb appeal to your home, cedar siding is a smart choice for both new homes and fixer uppers. 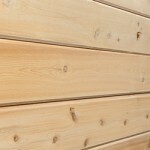 Popular for a reason, cedar siding is able to handle the elements and maintain it’s appearance for years to come. It’s definitely worth considering for your next exterior renovation project. Do you like the natural look of cedar for your home’s exterior? 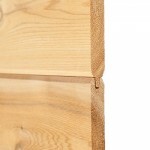 Click here to browse our cedar siding options. Transform your home with a warm and welcoming aesthetic. of Eastern White Cedar shakes. To preserve the original color of the cedar shakes I would use a semi transparent stain. This will help keep the real look of the cedar. There is a possiblity of of obscuring the wood grain but this should be the best solution. Manual brushing the stain onto the siding is the best way to apply. Please let us know if you have any other questions!